"An excellent and proper new ballad, entitled, Old Long Syne." 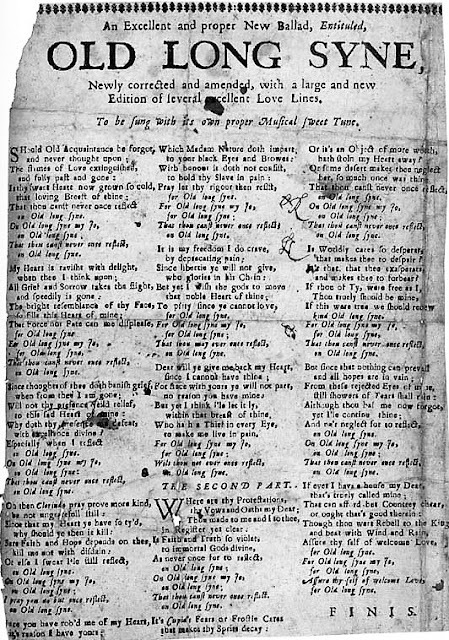 Printed 48 years before the birth of Robert Burns, Old Long Syne has the identical first words of Auld Lang Syne. 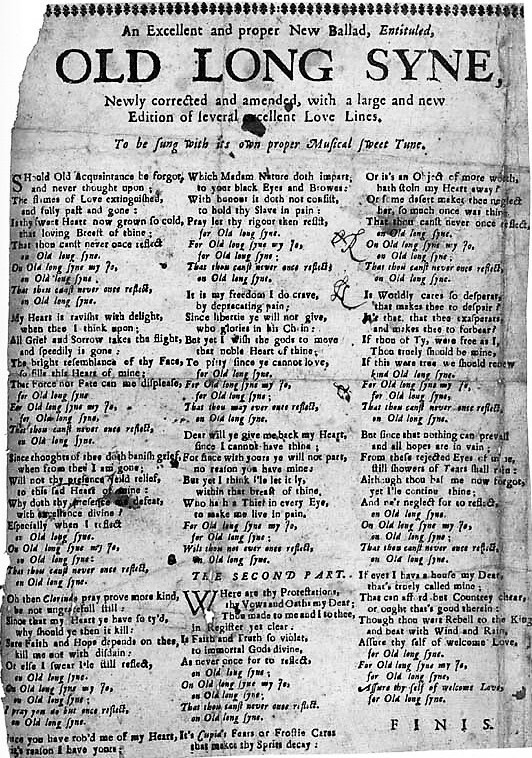 Even the version printed by James Watson as a broadside in 1711 notes that this version of Old Long Syne is, "Newly corrected and amended, with a large and new Edition of several excellent Love Lines." to Make me live in pain. That thou canst never once reflect. hath stoln my Heart away? her, so much once was thine. that makes thee to despair? and makes thee to forbear? It was a year to the day that we printed Robert Burns' Auld Lang Syne. At the time we said that we would see you in a year with James Watson's version. 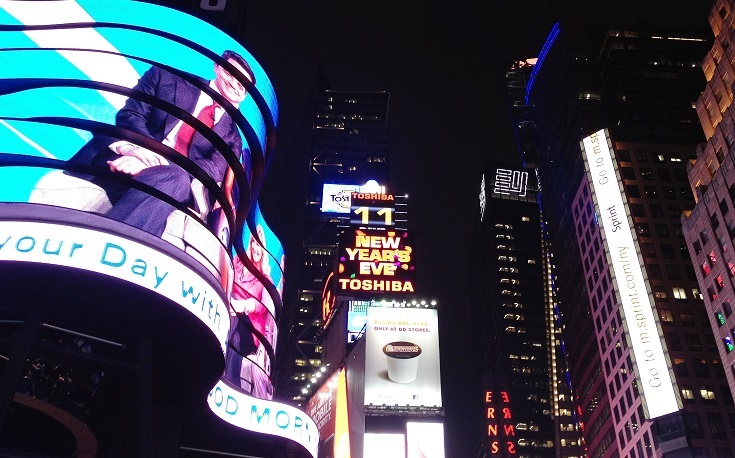 One resolution kept from 2012! The 1711 James Watson broadside of Old Long Syne.